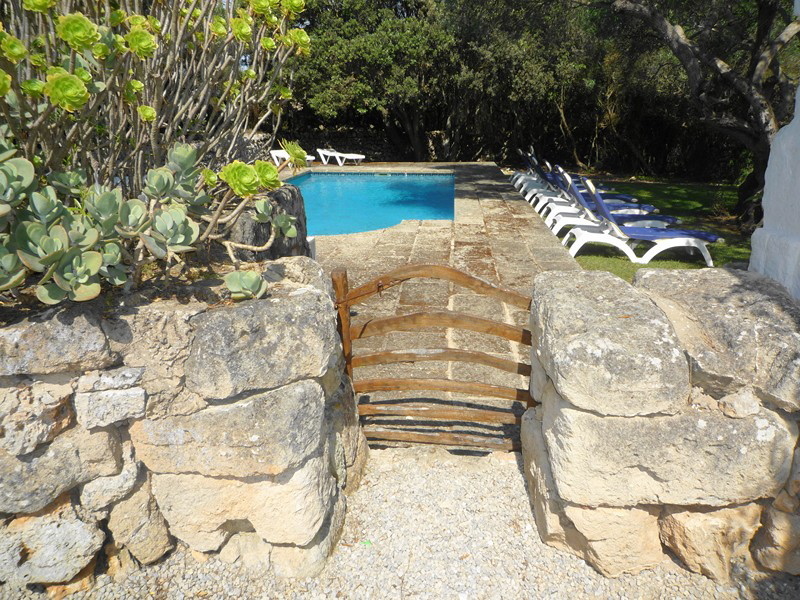 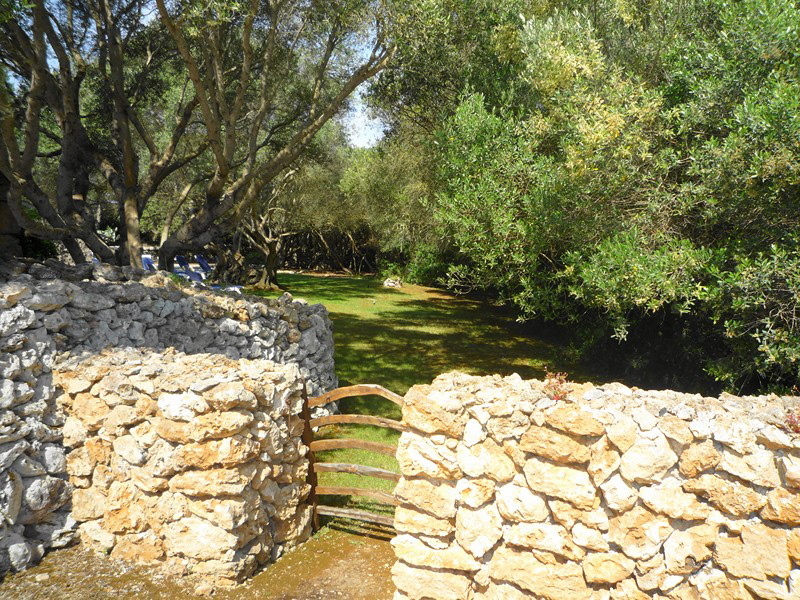 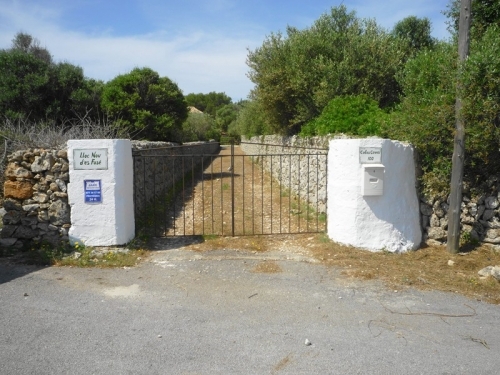 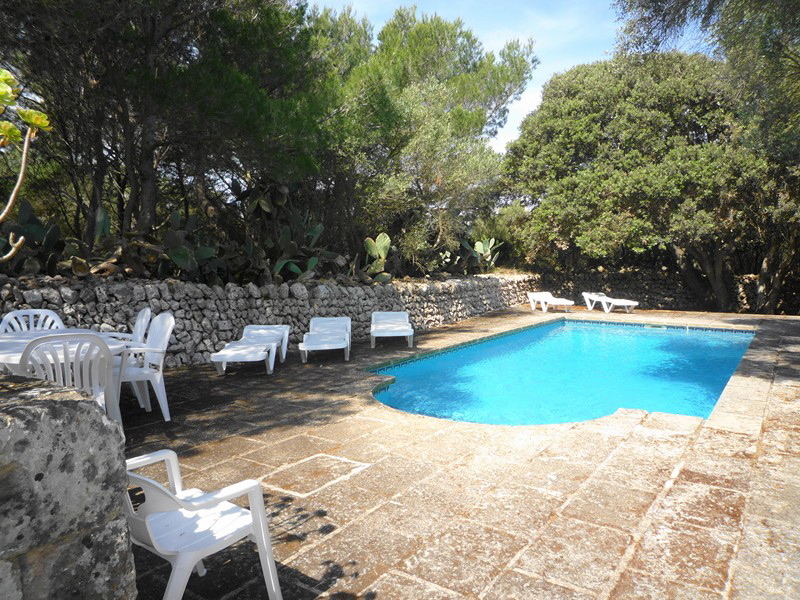 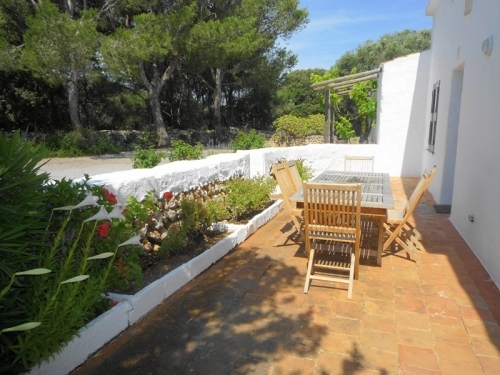 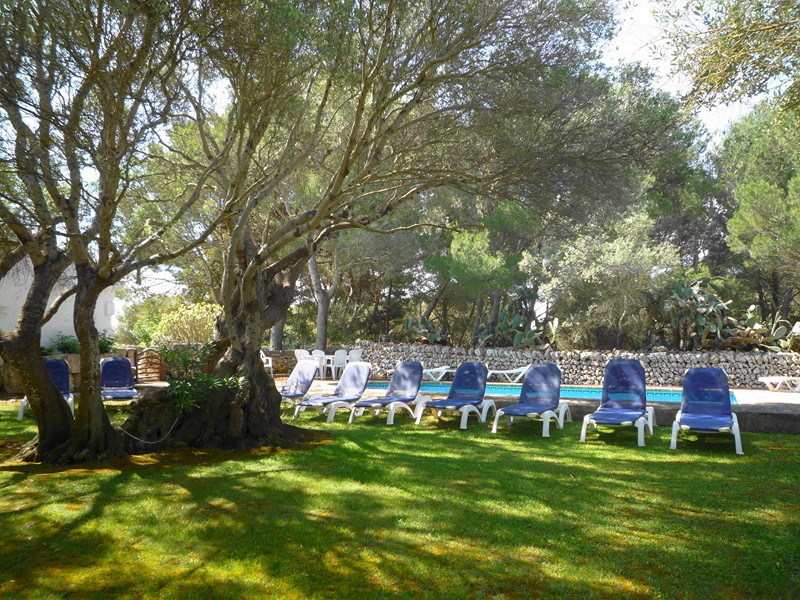 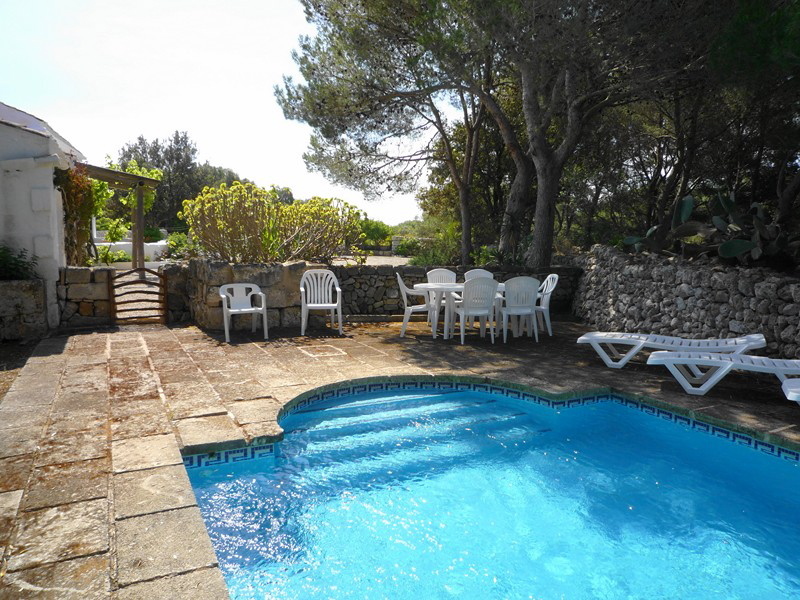 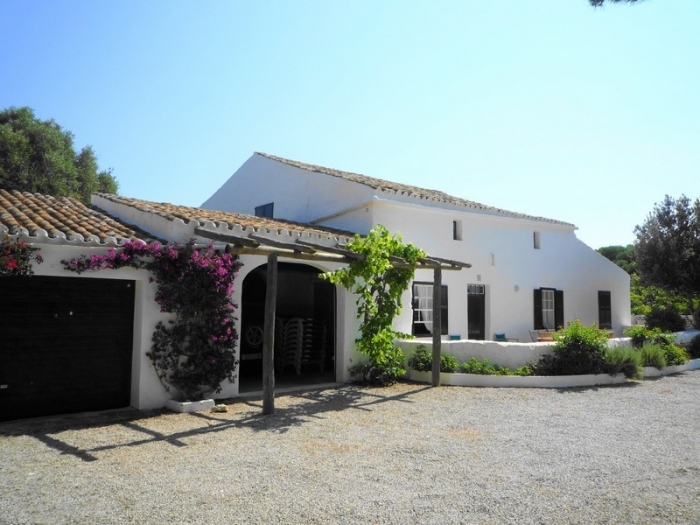 On the Balearic island of Menorca, just one kilometre from the beach near the village of San Climent this charming holiday property has a private swimming pool. 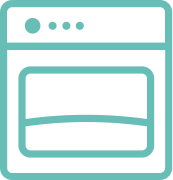 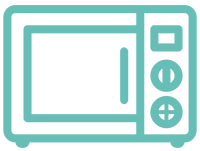 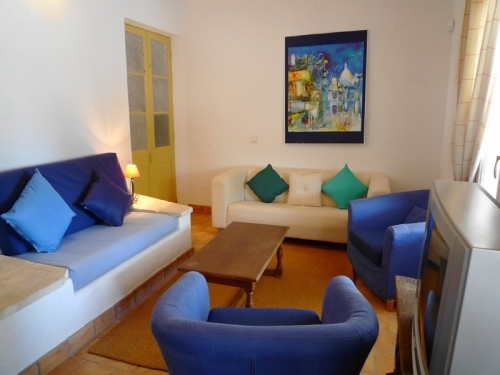 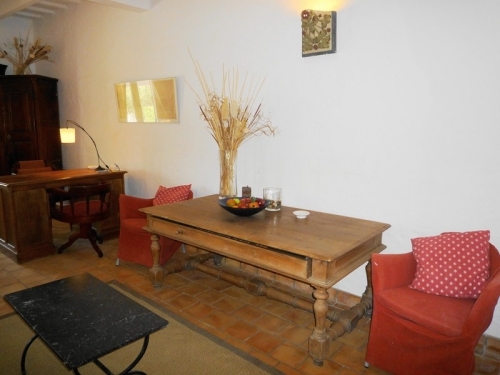 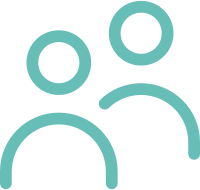 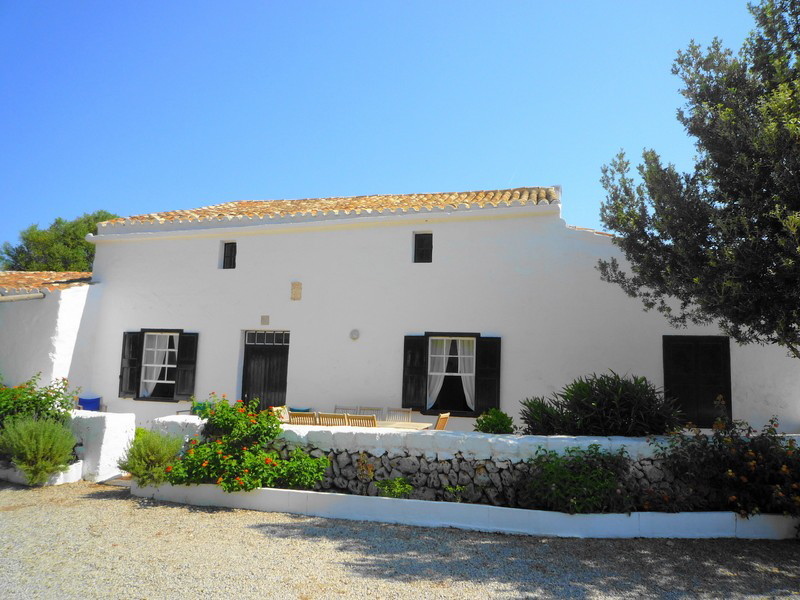 Villa accommodation covering 200 m² on two floors for 10/12 people (can extend to 16), 5 bedrooms, 3 bath/shower rooms, wifi, satellite television. 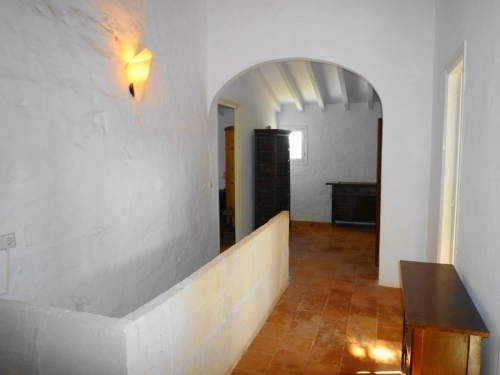 The ground floor has an entrance leading to a sitting room, reading area, dining room and a kitchen. 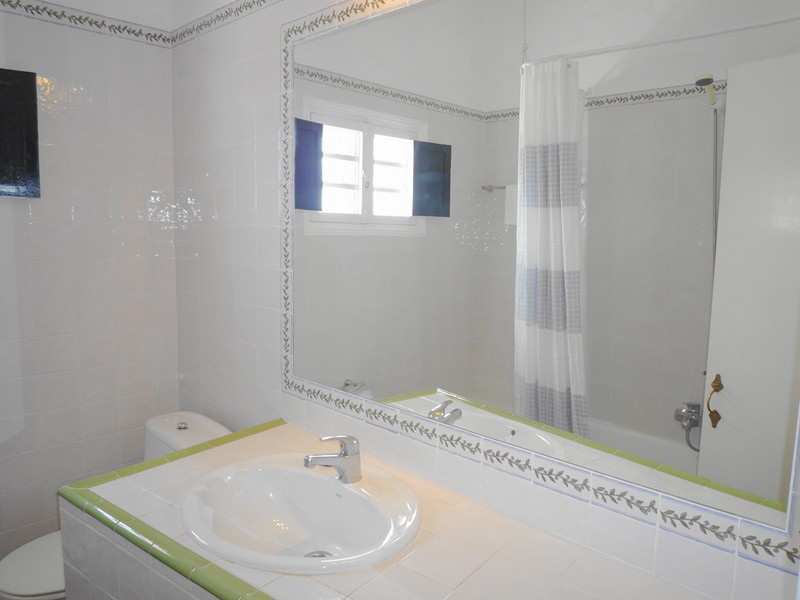 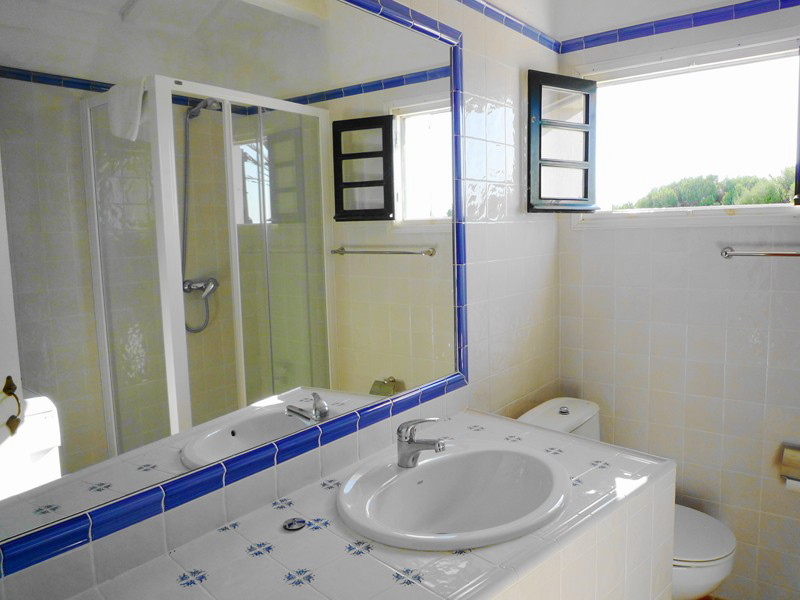 Double bedroom with dressing area and en-suite bathroom with toilet. 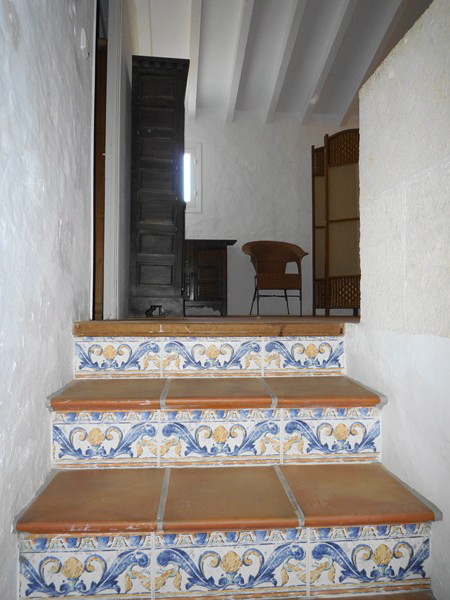 The upper floor has a double bedroom. 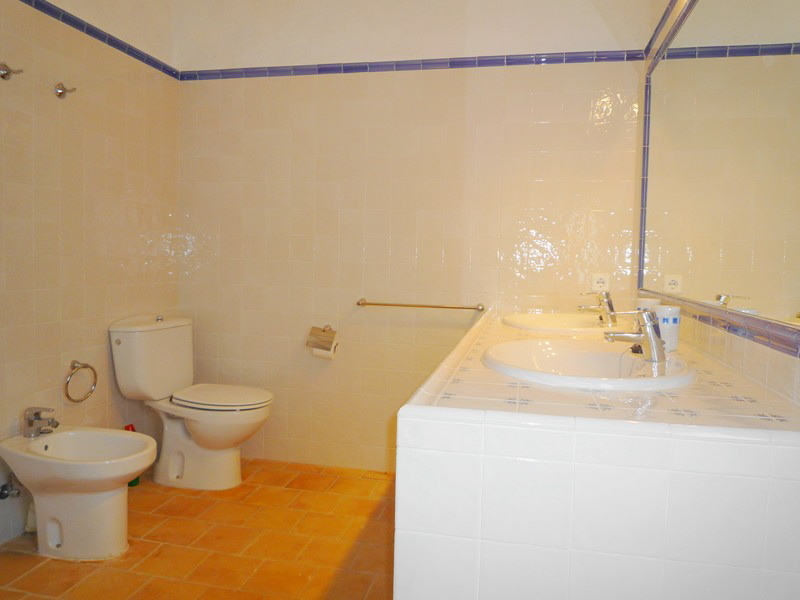 Two interconnecting double bedrooms. 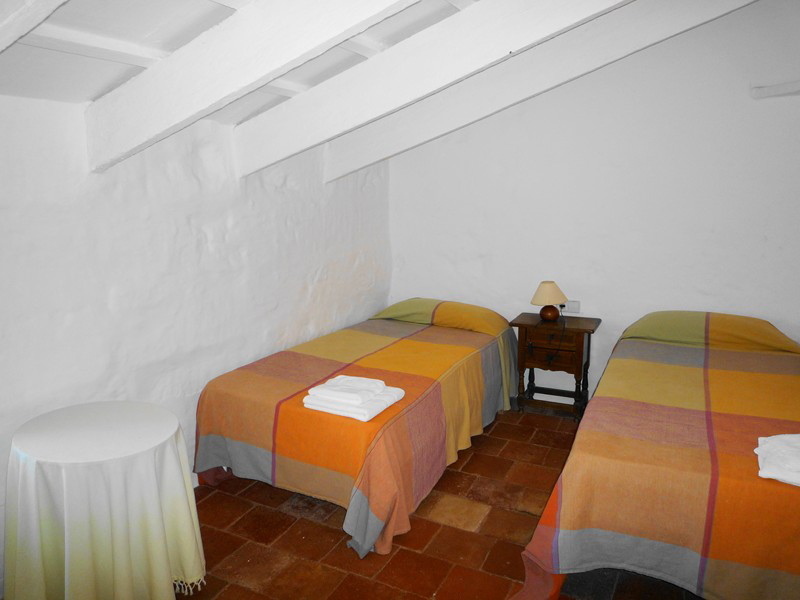 Another double bedroom. 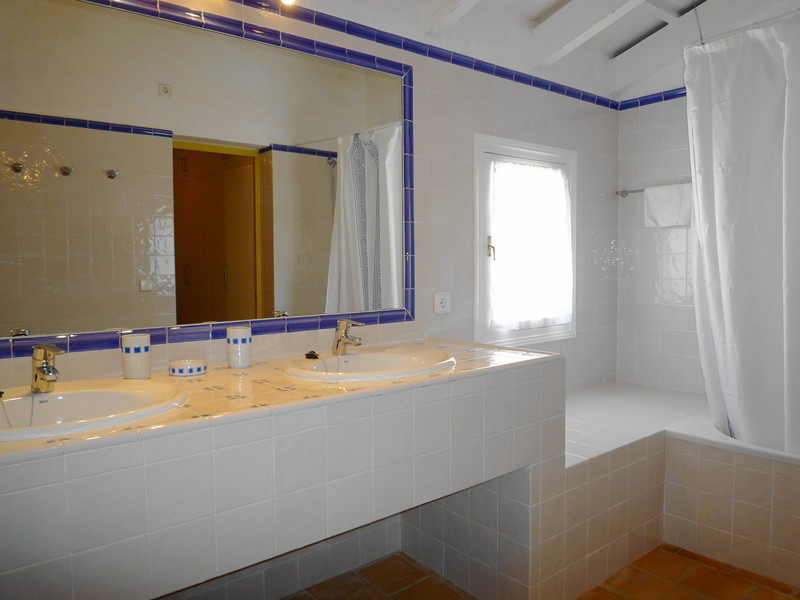 An open area with two single beds (no doors or separating walls). 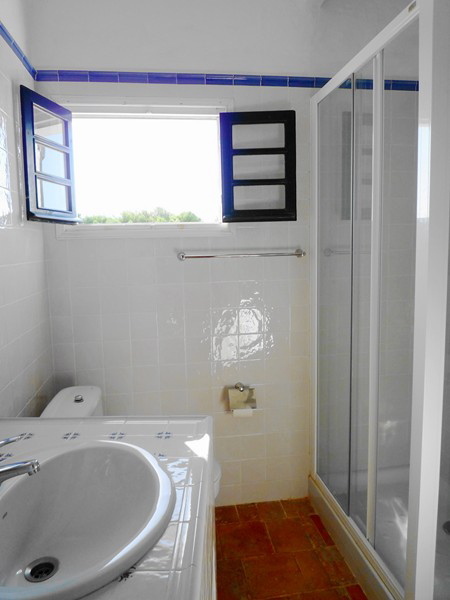 Bathroom and toilet as well as a shower room and toilet. 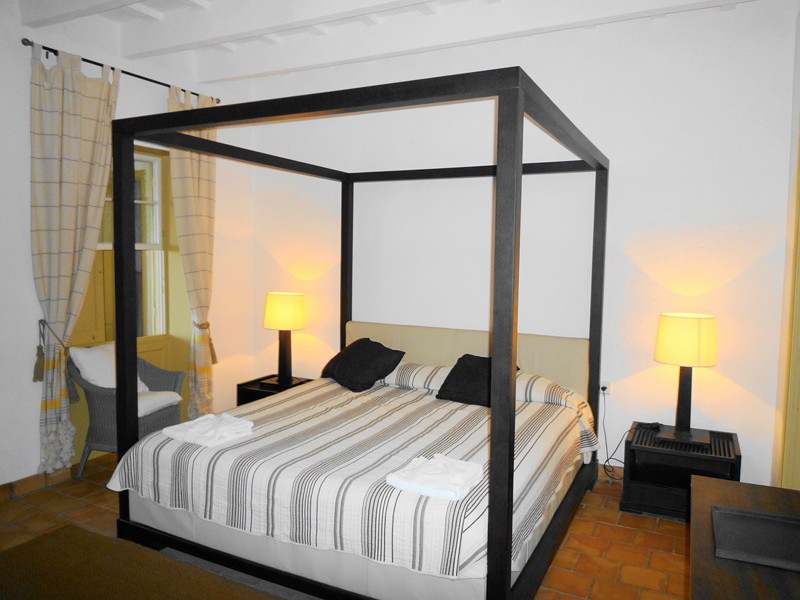 In all, there are three double beds and six single beds. 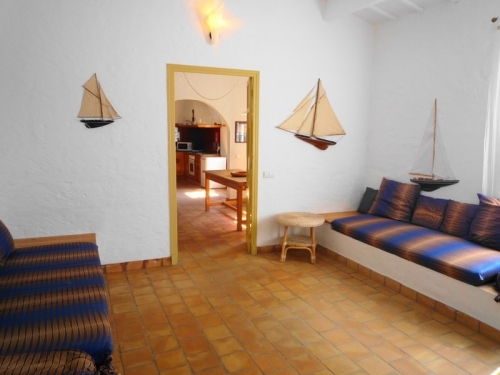 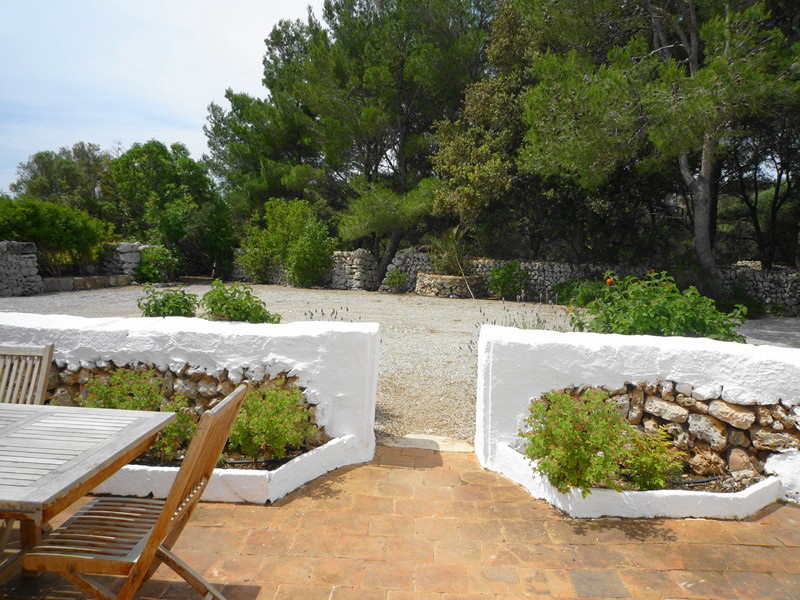 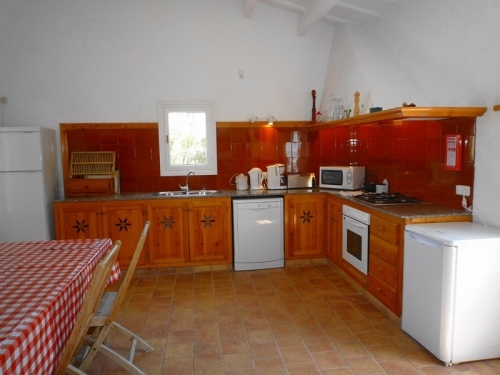 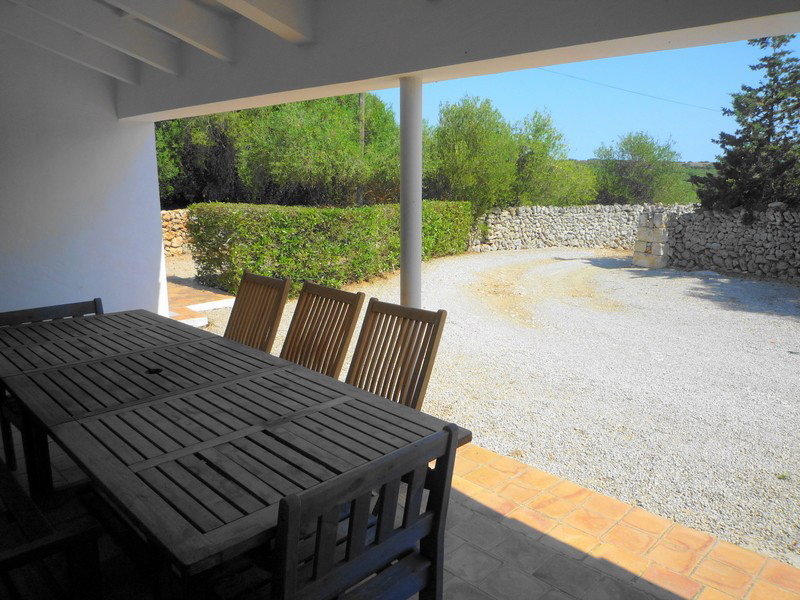 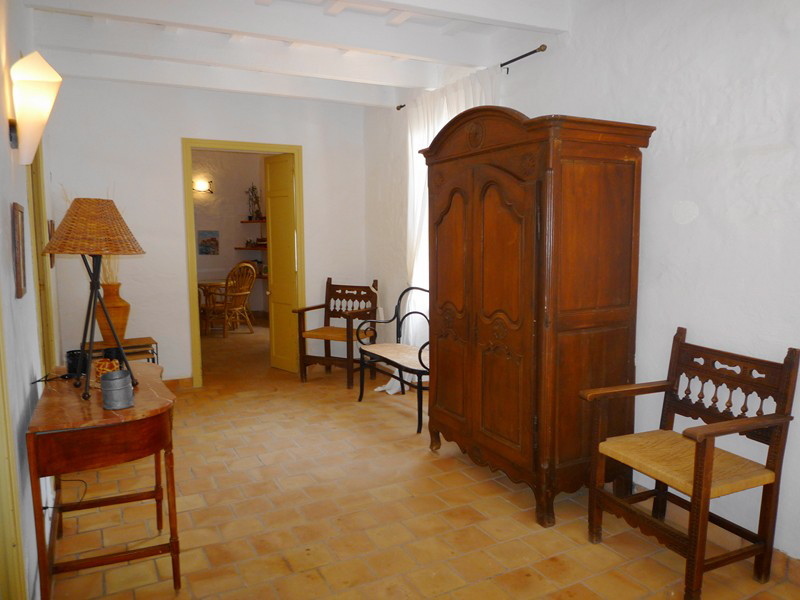 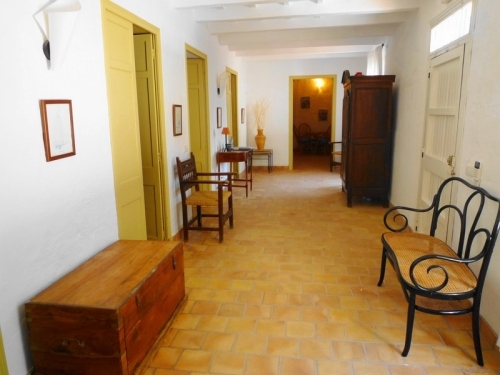 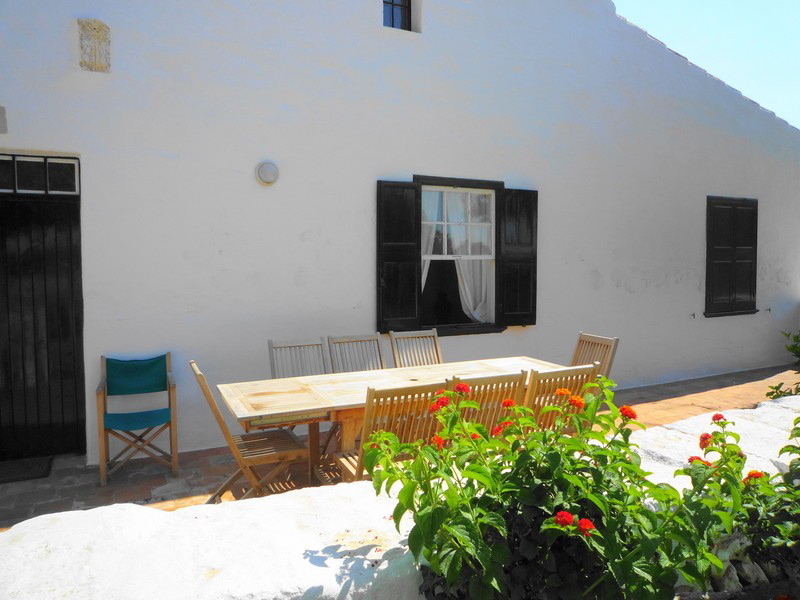 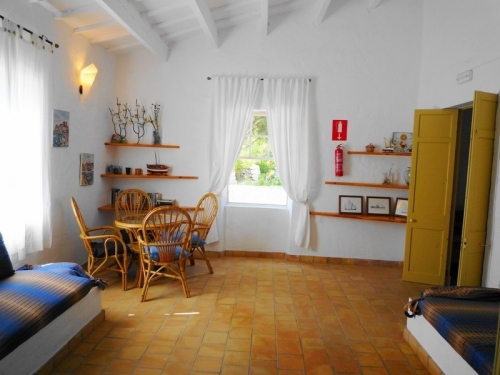 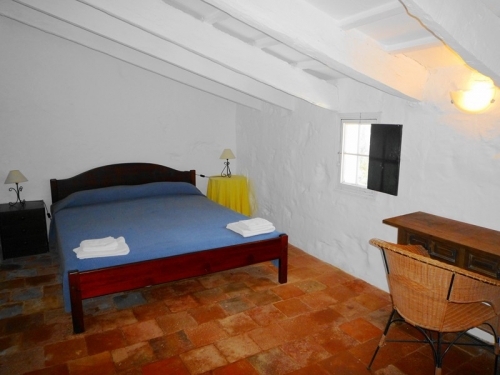 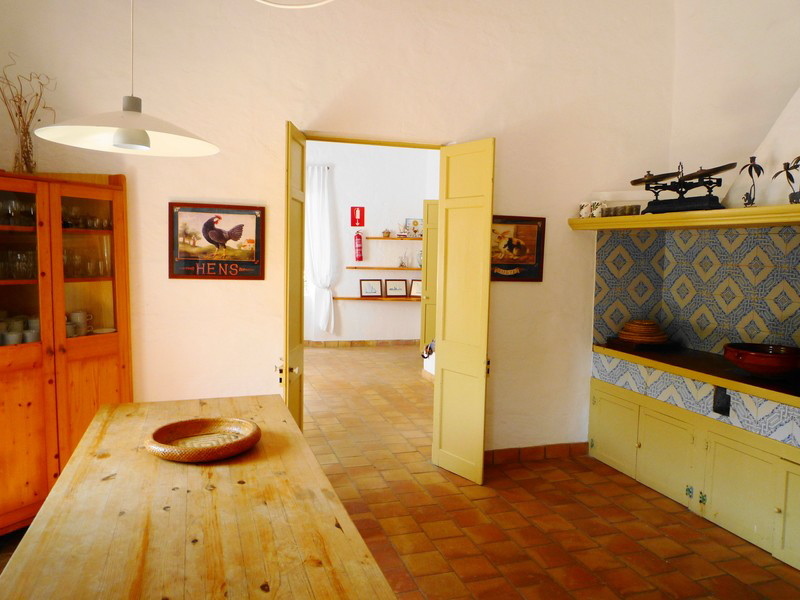 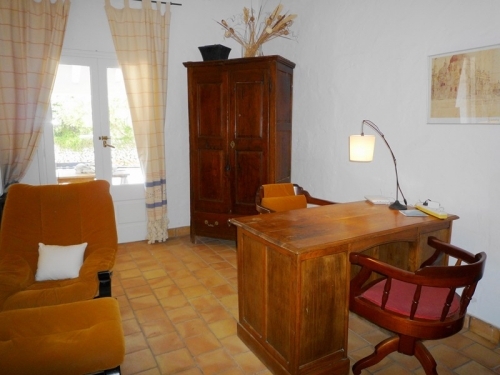 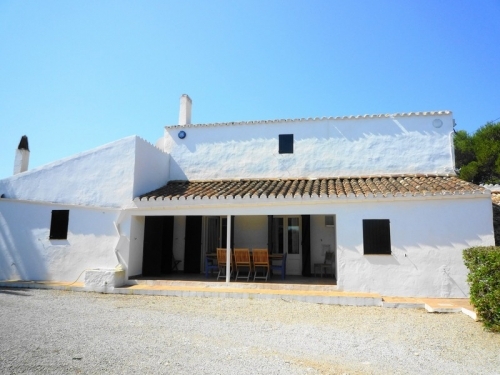 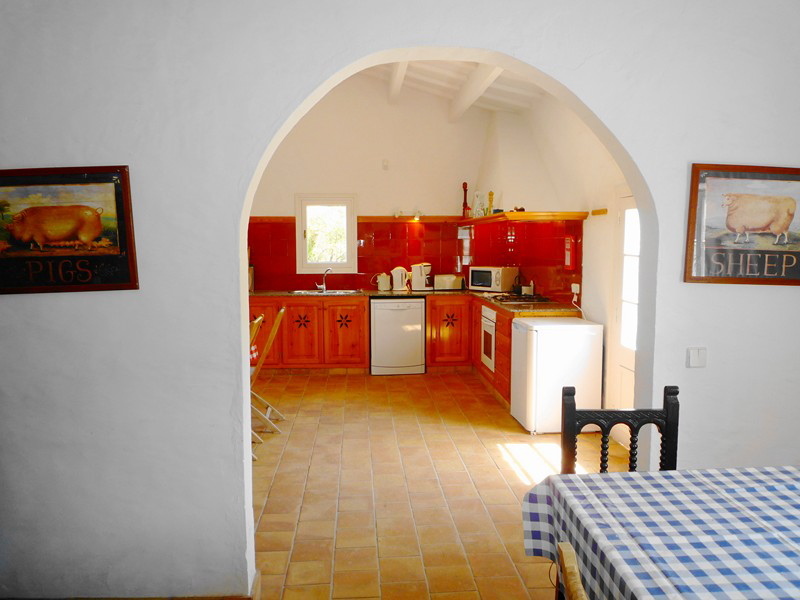 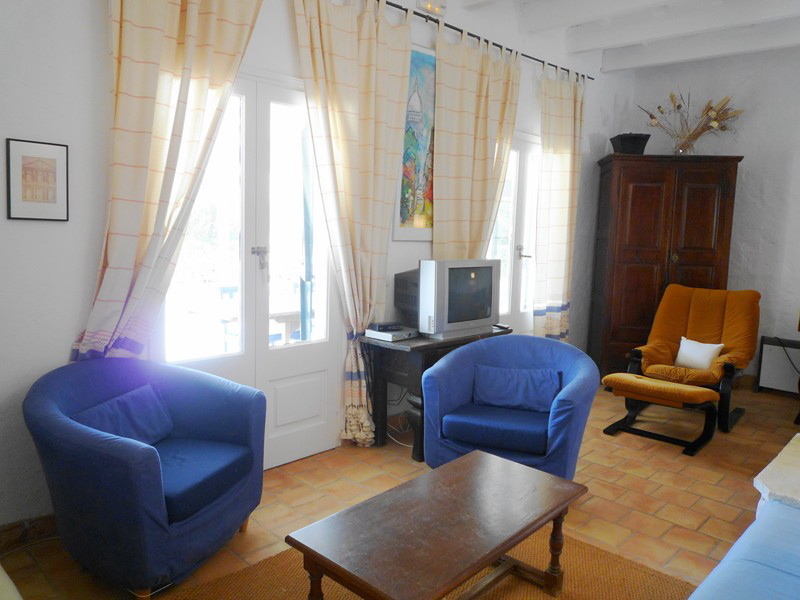 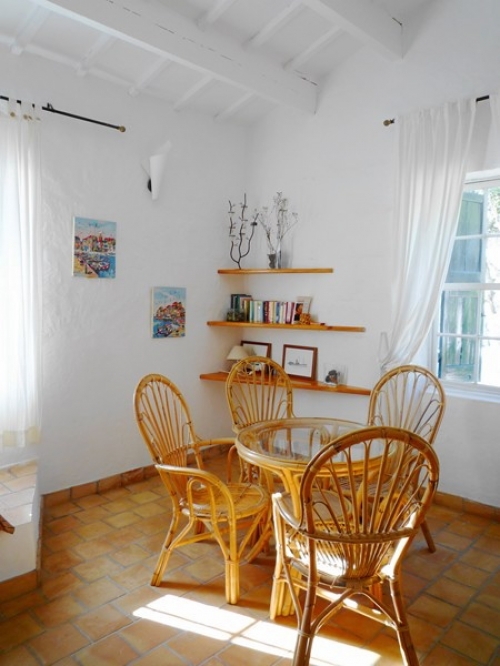 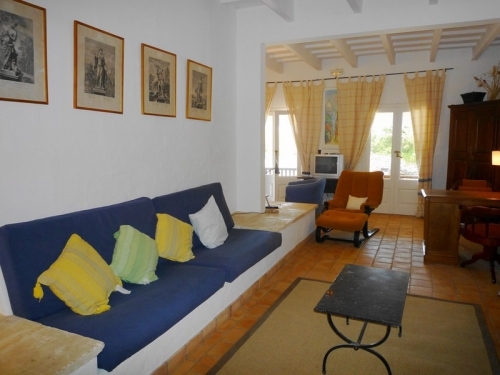 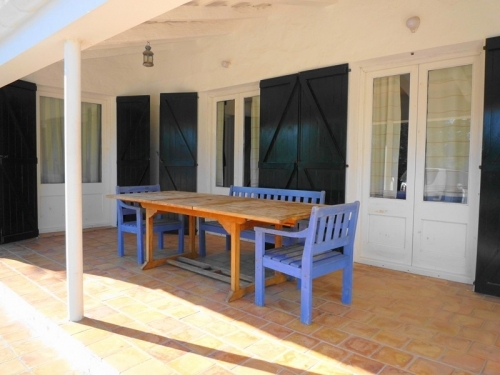 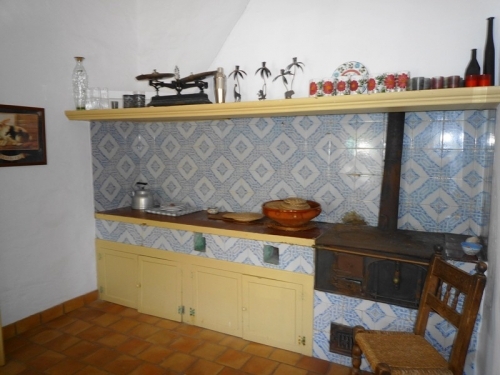 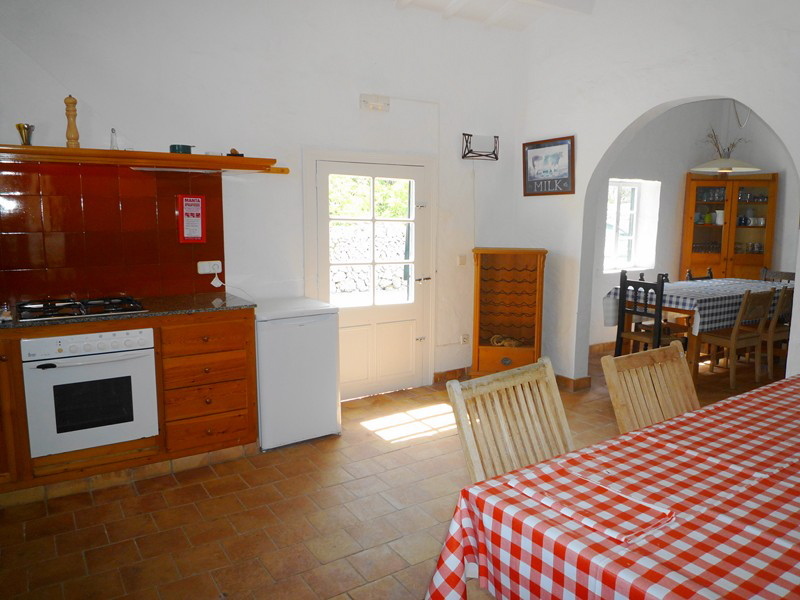 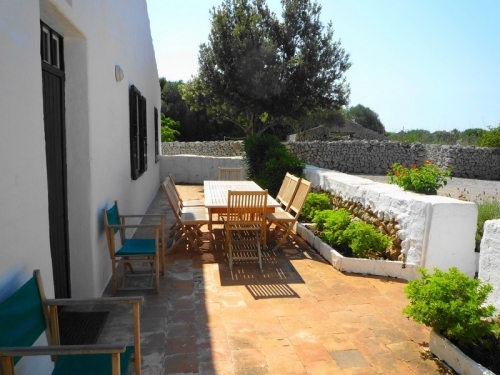 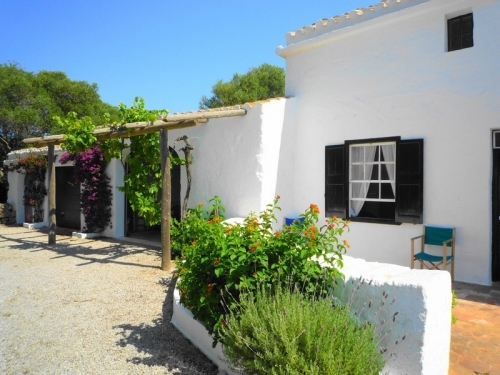 The interior is very typical of the Menorca island style, both practical, rustic in both the simple and refined sense and comfortable, the tiled floors and whitewashed walls providing plenty of authentic charm. 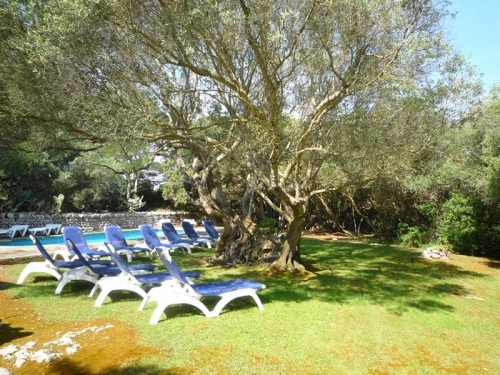 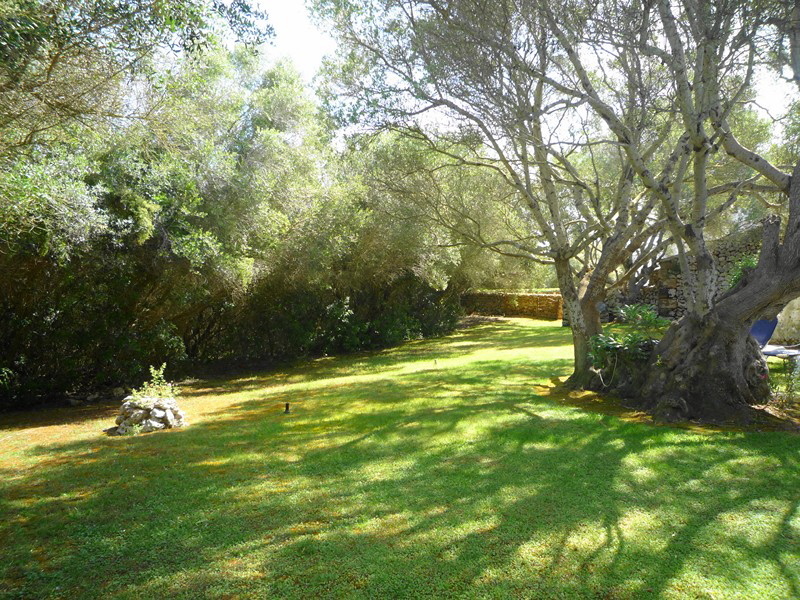 The very beautiful big enclosed grounds cover 2000 m² and include an area of lawn and a small collection of pine trees which offer ideal shade for an afternoon snooze. The nine-metre-long pool has a crossed wood fence and gate as commonly found on the island. 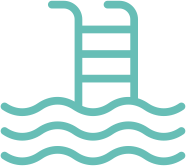 NOTE: there is the possibility to also rent an annexe (independent access) with two interconnecting double bedrooms and a bathroom and toilet, for a supplement. The nearby beach Cales Coves is very pretty. 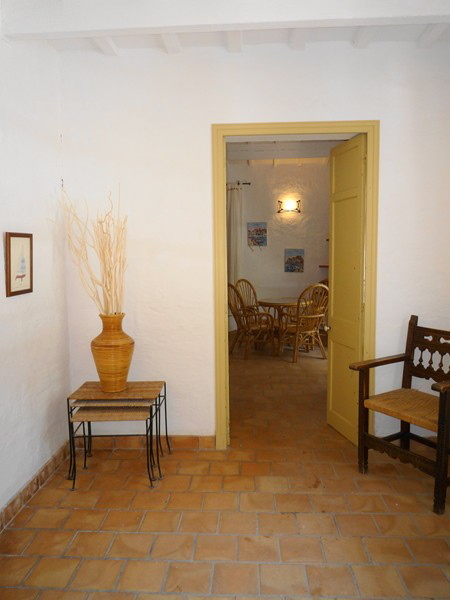 Shops at San Climent beach 1 km. Golf course 21 km. 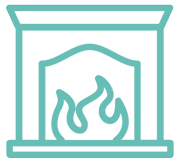 The change-over day can be Friday, Saturday or Sunday. Payment of the deposit must be made by credit card imprint to Villas du Monde or by bank transfer.